If you're going to Egypt, chances are you're going to Luxor. 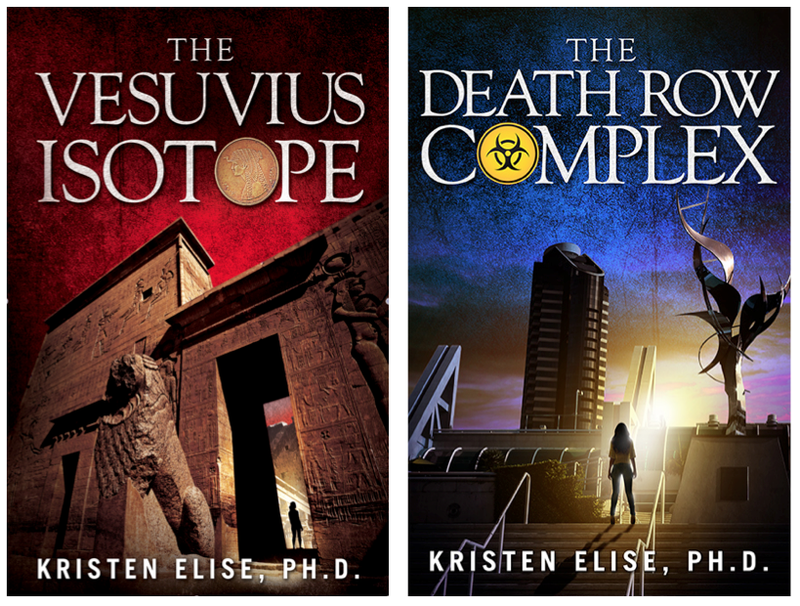 And if you're going to Luxor, you're just a short day tour away from four COOL temples! 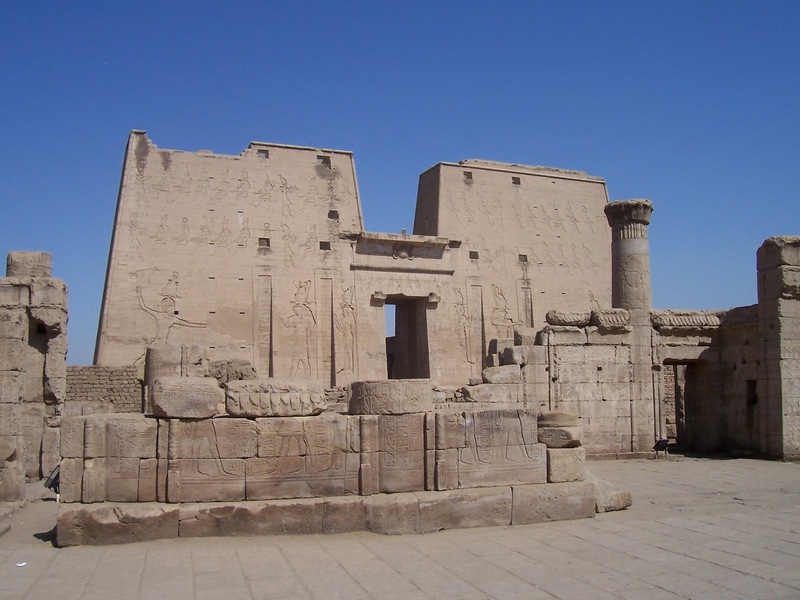 Between Luxor and Aswan is a leisurely air-conditioned van ride and the Esna, Edfu and Kom Ombo temple complexes. And, of course, Aswan boasts THE Temple of Isis. Read about my adventures in Aswan here. 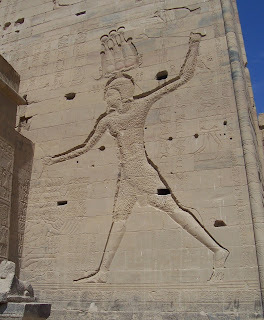 I actually did the van tour in reverse - I took an overnight train all the way south from Cairo to Aswan, and then the van ride north (which is to say, "down" from upper Egypt - I love Egyptian geography) to Luxor. The decision to do it this way was mostly made by the logic that if I was taking the sleeper train anyway, I might as well sleep a little later and get to Aswan, instead of waking up at the crack of dawn to disembark in Luxor. It turned out to be a good decision. Another good decision was NOT doing what I had originally planned - trying to take the temple tour on my own, by train. This would have left me (three times) wandering the desert like Moses with luggage, as I tried to hop on and off of trains, grab taxis and get to the temples and back to the train stations. IXNAY. Instead, I signed up for the van ride. Dude Playing Tennis or Zombie Apocalypse? First, there's Kom Ombo. This Greco-Roman temple pays tribute to Cleopatra's ancestors (one of my favorite Egyptian topics) and boasts images of Sobek, the crocodile god. There are crocodile mummies in the Chapel of Hathor, excavated from a crocodile necropolis that was near the site. 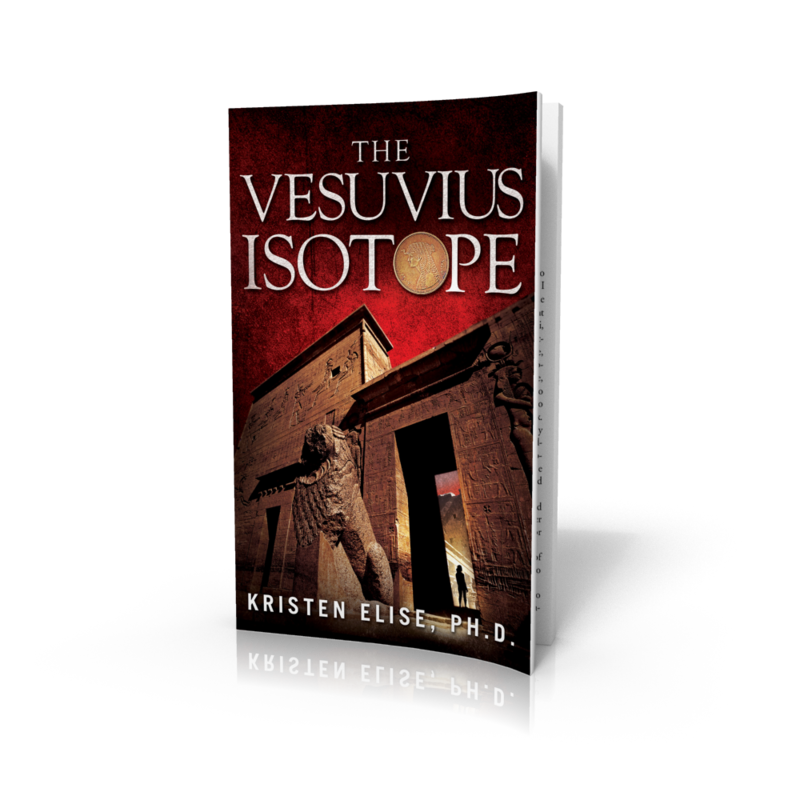 Another subject of interest to me, which found its way into The Vesuvius Isotope. 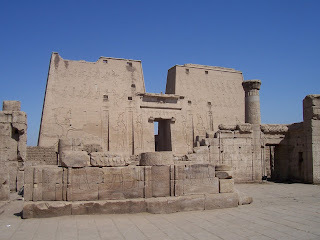 Next, we stop at the temple of Edfu. I found the Temple of Horus here quite reminiscent of the Temple of Isis at Aswan, with the symmetrical walls surrounding a lower entrance. The reliefs are quite well-preserved, and remind me a lot of two dudes playing tennis, or maybe a zombie apocalypse. 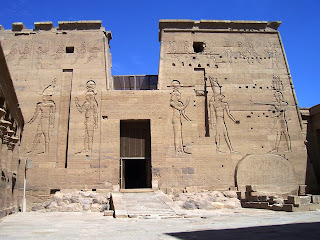 Finally, we arrive at Esna before moving along to our final destination at Luxor. The Esna temple features one of the cutest statues in Egypt. 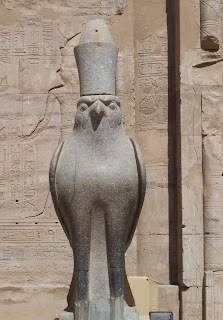 It is supposed to be the falcon god Horus, which I would envision as powerful and intimidating, but the statue to me looks like an owl in a top hat. Sorry. Falcon God, or Owl in Top Hat? A temple tour might seem like a peripheral activity on your Egyptian vacation, perhaps less important than the sites in Luxor or the pyramids. But if you have an extra day and are into temples, I highly recommend it. And it's a great excuse to visit Aswan. This is a fascinating post. I've saved it for future reference. Egypt is one of the places on my bucket list and these temples would have to be seen were I to eventually make it there.